I was able to start and finish two refashions this weekend, and it only took me about an hour! This polka dot top had a splotch of paint on the belly. So I chopped off the cuffs and created pockets to cover the paint spot. This plaid thing may have been intended to be a dress, but it screamed "night gown" to me. I simply cut a new hem and refinished the edge for a brand new shirt! 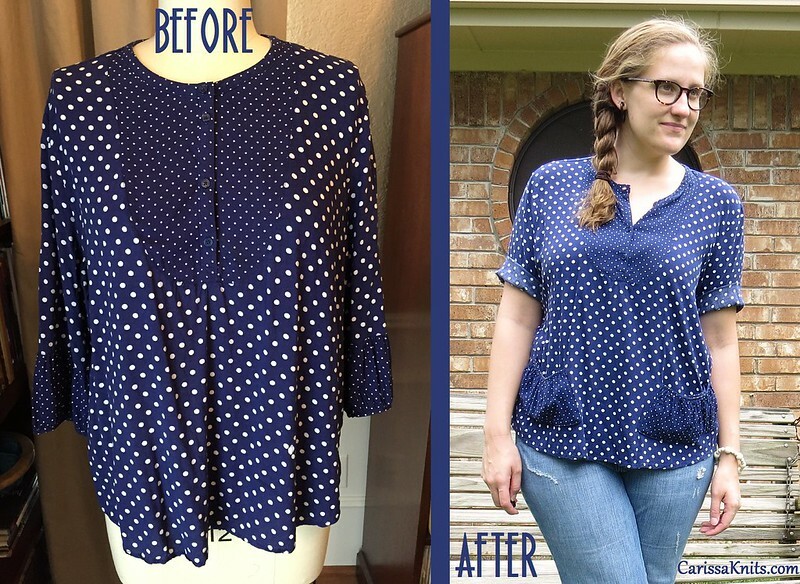 For more details on both of these quick fixes, check out CarissaKnits! Both are pretty cool!! 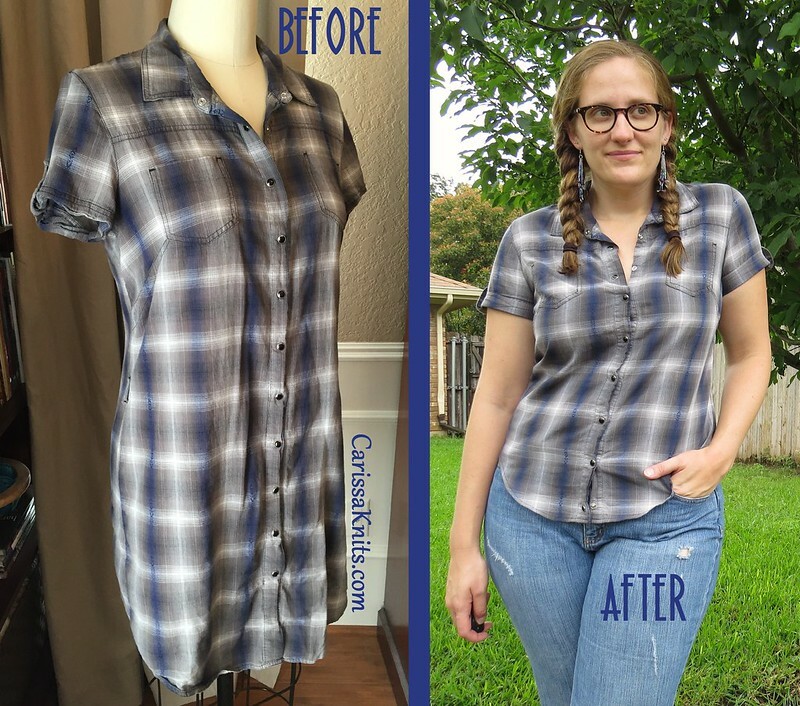 Visit my blog to see my DIY and refashion!! Blessings! Very cool! Love the cuffs to pockets, great idea! I love what you did with the polka dot top.